One of my sister’s favorite travel hacks is to take free vacations sponsored by timeshare representatives. She attends one high-pressure sales pitch. Then she tells the salespeople the same line: “This sounds like something for us to consider when we have more money available. Right now, we’ve got a mortgage and two kids in day care.” By using the same line over and over, she and her husband seem to cut the sales pitch short and enjoy their free vacation. Attending sales pitches may seem like a great hack, but timeshare salespeople aren’t in the business of giving away vacation. They are in the business of selling timeshares, many of which end up costing a boatload of money each year without delivering value. 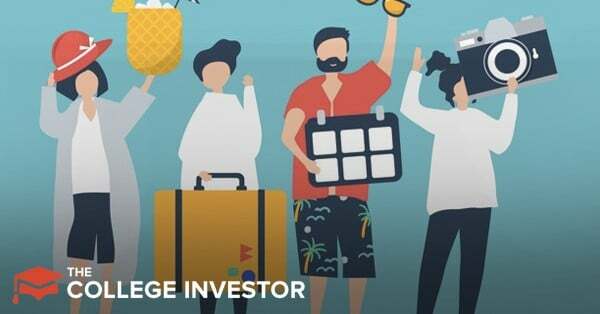 You should know that this is a risky tactic because many people who end up buying timeshares had made a pact with their significant other to not buy. If you’ve bought a timeshare, particularly one that you don’t use, you may realize that the timeshare is eroding your ability to build wealth. Unfortunately, even if you don’t use your timeshare, you’re contractually obligated to keep paying for it. If you stop paying your dues, the timeshare will go to collections and destroy your credit. Is it even possible to get rid of a timeshare? 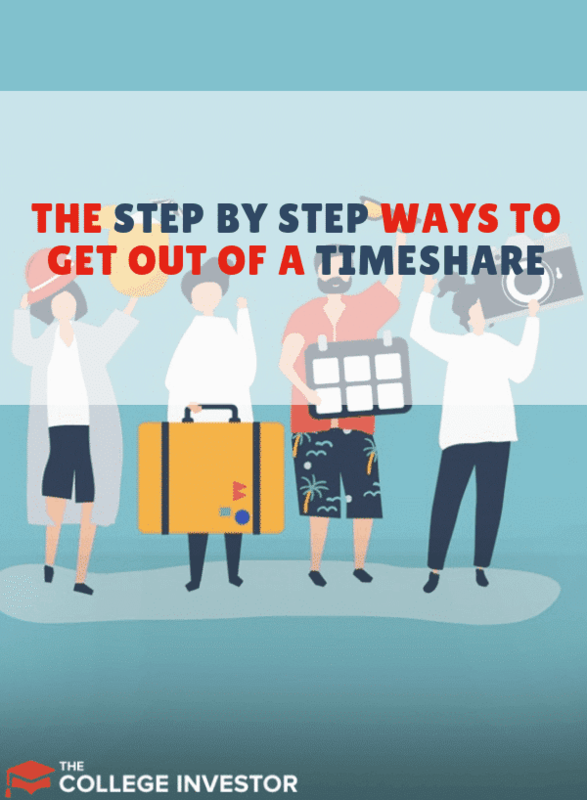 Here’s the step-by-step method for getting out of your horrible timeshare. This is a bit misleading because few people ever sell their timeshares, but more importantly most timeshare exit scams involve people who believe their timeshare has value or they can get money for their timeshare. Timeshares aren’t an investment. However, it is sometimes possible to resell a paid-for timeshare. Some timeshares (in particular, Disney timeshares) seem to hold their value over time. You can find a lot of information about selling timeshares on the American Resort Development Association’s website. It provides comprehensive tips about how to sell the timeshare or give it away. One of the best ways to resell a timeshare is to hire a timeshare real estate agent to help you with the sale (these are rare and they will only take on the few that hold value). An honest real estate agent should give you a clear picture of the value of your timeshare and whether or not they can help you sell it. Generally, timeshare resellers can expect to recoup 10% of the original investment cost when selling their timeshare (and that is rare because timeshares rarely sell). It’s not a great feeling to lose thousands of dollars, but it’s probably better than continuing to pay for a timeshare you don’t use. If selling your timeshare won’t work, you may be able to give it away. If your timeshare has a deed, you can even claim a charitable deduction on your timeshare. This is an area where people can get into trouble or invite an audit as the IRS knows that timeshares have no value. In fact, few charities take these any longer because they are a financial liability to the non profit. In fact the largest timeshare donation non profit was deemed a scam. If you hope to give your timeshare away, it’s important to do research on it first. A timeshare donation company should ensure that you have no further financial obligations associated with the timeshare. Additionally, the timeshare should go to a 501(c)(3) charity. You can find legitimate 501(c)(3) organizations on the IRS website. When you donate these timeshares, you can receive a tax deduction for the fair market value of the timeshare (which is typically close to zero… which is where the problems lie). Do not donate your timeshare until you’ve reviewed all the legal documentation associated with it. You may want to hire a real estate attorney to help you. If you’ve got a “right-to-use” timeshare, you may be able to give your timeshare to a friend or family member who is willing to pay the annual fees. Be sure to hire an attorney (who specializes in timeshare transfers) if you want to fully transfer ownership to another person (even if the transfer fee is $0). If selling or giving your timeshare away won’t work, your last option is to hire a timeshare exit expert such as the Newton Group. It helps consumers end their timeshare ownership. Research the group with the Better Business Bureau. Get any contracts in writing. Work with an attorney if you don’t understand the contract. With the Newton Group, consumers pay one upfront fee to the Newton Group. And regardless of how long the process takes, or if they have to arrange for an attorney to represent you, they will never ask for another dollar, and you are covered by their bulletproof 100% money back guarantee. If the group is unable to get rid of your timeshare, the Newton Group will refund your money (except for any resort fees the group may have paid on your behalf). In some cases, the Newton Group will determine that using an attorney is the best course of action. In this case, the Newton Group will arrange for an attorney to specifically represent you and help you exit your timeshare contract, and still back the attorneys work with their guarantee. The Newton Group isn’t the right solution for all timeshare owners. In fact, it wrote a guide to help timeshare owners learn how to exit a timeshare successfully. But if you need to hire a timeshare exit group, consider the Newton Group first. Getting out of a timeshare could put money back in your pocket each year. If you’re not using your timeshare, take the time to get out of it. Whether you work with the Newton Group or get rid of it on your own, it’s important to take steps today. Don’t let another day pass before you get rid of your money-sucking timeshare.